It was the Pawan Kumar Sehrawat Show yet again, as an incredible second-half performance from the raider handed Bengaluru Bulls a 38-33 victory over Gujarat Fortunegiants in the Season 6 final at the Dome@NSCI SVP Stadium in Mumbai to give them their first-ever VIVO Pro Kabaddi title. 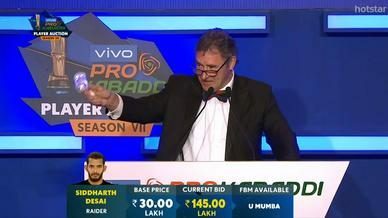 Sehrawat scored at least a point in 16 of his final 17 raids of the match in what was a performance for the ages from the raider. The opening exchanges belonged to the raiders on both teams, as Sehrawat scored a raid point in each of his first three raids while, for Gujarat Fortunegiants, it was K Prapanjan who led the way in offence with two raid points to keep the scores at parity. Gujarat Fortunegiants’ captain Sunil Kumar scored his team’s first tackle point of the night with a Block on Sehrawat but Sumit Singh responded for Bengaluru Bulls with an Ankle Hold on Prapanjan as both teams matched the other blow-for-blow in the first 10 minutes of the contest. With the scores tied at 7-7, Left Corner Sachin Vittala sent Sehrawat to the bench with an emphatic Back Hold and Sachin scored his second raid point of the night in a Do-Or-Die situation, escaping the clutches of Corner Amit Sheoran to reduce Bengaluru Bulls down to just three men. 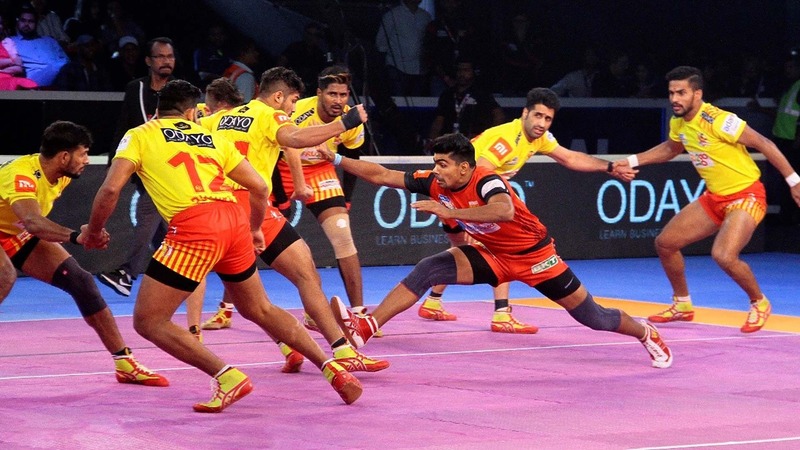 Captain Sunil Kumar tackled counterpart Rohit Kumar and Prapanjan managed to send Mahender Singh to the bench after a mighty struggle, leaving Bengaluru Bulls on the brink on an All-Out. With just a solitary man left on the mat, Bengaluru Bulls brought in raider Kashiling Adake and it paid dividends as he managed a two-point raid to keep his team alive. 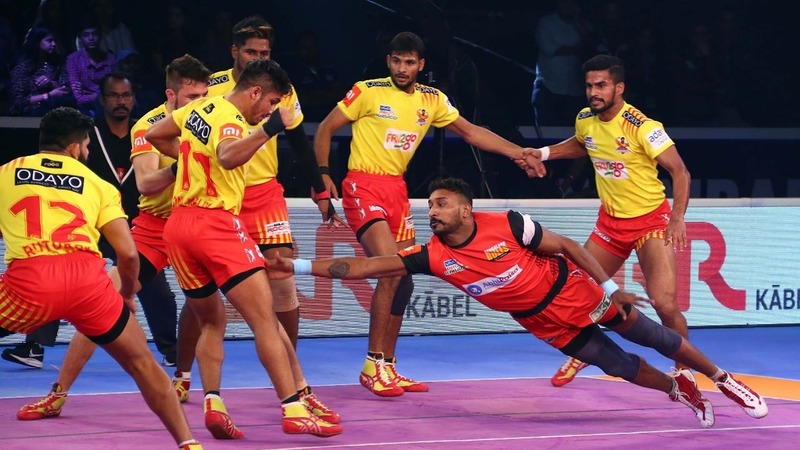 But Bengaluru Bulls’ respite was momentary as Prapanjan wiped out both defenders on the mat in the same raid to inflict the game’s first All-Out and give Gujarat Fortunegiants a 15-9 lead. Hadi Oshtorak scored the last point of the half with an Ankle Hold on Rohit Kumar as the teams went into the half-time break with Gujarat Fortunegiants leading 16-9. Ruturaj Koravi’s tackle on Sehrawat to open the second half extended Gujarat Fortunegiants’ lead to eight points but three straight points from Bengaluru Bulls cut the deficit down to five as they looked to claw their way back into the contest. 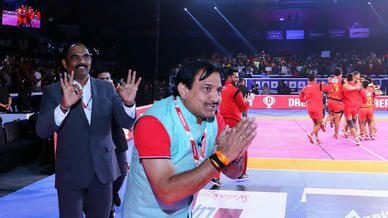 Gujarat Fortunegiants quickly snuffed out Bengaluru Bulls’ momentum by adding two more points to their total, but what followed was a run of six straight successful raids from Sehrawat as Bengaluru Bulls embarked on an 11-3 run, including an All-Out, to go from trailing 12-19 to leading 23-22 in the contest. Sehrawat continued to add to his mammoth performance by scoring a raid point each in his next three raids as well, but Gujarat Fortunegiants’ Sachin matched Sehrawat’s feat to keep his team within a point of Bengaluru Bulls. A Super Raid from Rohit Gulia put Gujarat Fortunegiants up by two and, more importantly, sent Sehrawat to the bench as well. 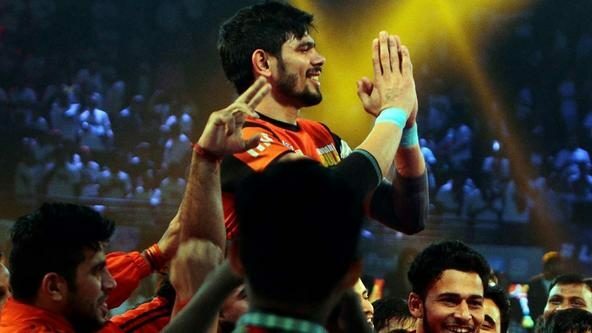 But captain Rohit Kumar, with his first successful raid point of the night, revived Sehrawat and the raider kept going at Gujarat Fortunegiants’ defence to put his team up by two points and leave the opponents with just three men on the mat. 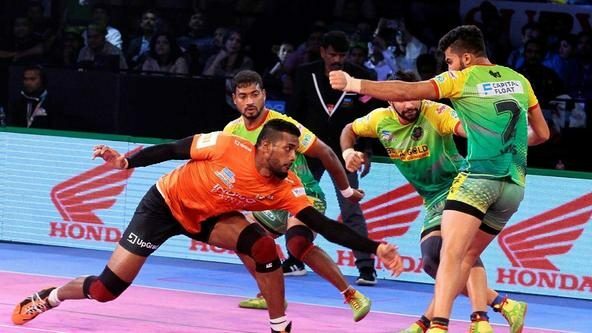 Sumit Singh’s tackle point on Gulia left Gujarat Fortunegiants with just two men on the mat and Sehrawat wiped them both out in the same raid to inflict the All-Out and put Bengaluru Bulls up by seven points with just over a minute left. 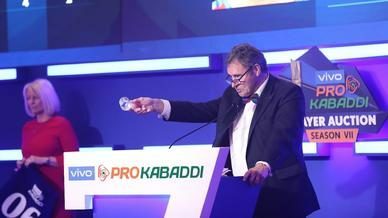 Two quick raid points from Sachin, split by captain Sunil Kumar’s tackle on Rohit Kumar, gave Gujarat Fortunegiants a glimmer of hope but two more successful raids from Sehrawat ended the contest as the clock expired to give Bengaluru Bulls their maiden VIVO Pro Kabaddi title.